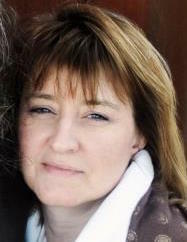 Hi, I’m Pam Cook and I moved back to Utah from Washington State in 2006, when I started working for NACD part time. I now do all the scheduling for NACD. Having a degree in Early Childhood Education, the wonderful part about my job is all the awesome, dedicated families that I get to talk to on a daily basis and of course the NACD staff. But the best part of my job is getting to see the kids when they come in for evaluations—to see the changes in them each time they come back to see us. I get to watch them grow and learn!